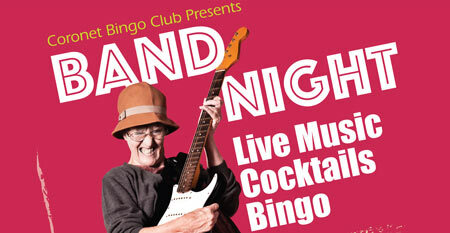 Our stylish bar and revamped stage are perfect for our fun cocktail party nights where we offer our customers fantastic drinks from our professional cocktail bartender with great live music supporting brilliant local bands once the bingo has finished. Next band night TBA. Click here for details.